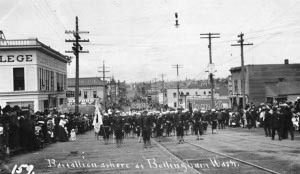 Bellingham (122.49W 48.75N) is a port on the northeast coast of Puget Sound. There is an airfield nearby (122.54W 48.79N), which was acquired by the Air Force by May 1943 and opened for Canadian aircrew training in the summer of 1944. 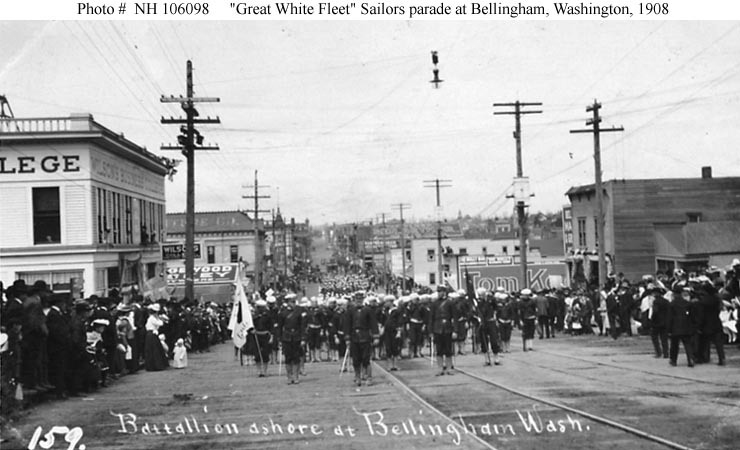 The port included a Maritime Commission shipyard, producing smaller types, such as the Diver class.